In design, context is huge. And before making this list, I had no idea what a Blue Jacket even was. A type of bee? 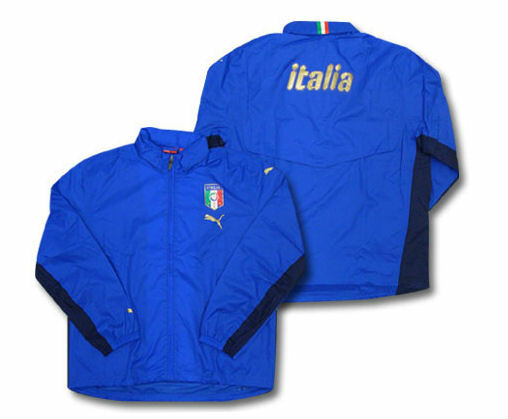 The Italian soccer team’s official outerwear? Tobias Fünke’s outerwear? There’s quite a few different things a ‘blue jacket’ could reference and thanks to Wikipedia, I attempted to disambiguate myself. So exactly which Blue Jacket is the hockey team referencing? As I’ve never been to the state of Ohio, or that area of the States in general, I had to look it up in order to get a sense of what the logo was representing. Little did I know that Ohio played a large part in the American Civil War, producing luminary generals such as then-future president Ulysses S. Grant. Suddenly, the logo makes a little more sense and I started to get a sense of how difficult it would be to transfer the huge historical significance of something like a civil war into a hockey logo. No easy task, which is probably why this logo suffers a little bit and falls in as the 23rd best logo in the 30 team league. The logo was originally the alternate logo for a few years, and the decision to go with something simple like a star and the Ohio state flag is a probably a good place to start, but it’s also a bit cliché and not incredibly inspired or inspiring for the fans. There’s a few other issues as well. There’s a huge attempt to create dynamism and movement in the logo, and it’s all a bit overkill. The angled star, the grey sections within the star, the swooping Ohio state flag, everything pointed at discombobulated angles, without anything to really tie it all together into one cohesive package. The elements are there to create a logo that could work but it feels like it’s trying to be too much and, as such, feels over-designed. Usually when this happens, some of the elements that are shoved in start to become unclear. For instance, is the swooping flag meant to just be a swooping flag (more dynamism! more action! ), or was it really intended to also from a ‘C’? Could be, but it’s not totally clear if it was an accidental element or not, so it adds a certain amount of confusion and ambiguity to the design. Confusion and ambiguity can work very well to draw people in sometimes, but in logos, it’s a killer. Okay, bad stuff done. Good stuff. The colour scheme is very patriotic and true to the Ohio state and theme of the team’s name, representing themselves as a team for the entire state. And like I said before, the elements are cliché, but they do make sense given the context in which they’re working. There is a certain strength and vitality to the logo, but as I said above, it’s just totally overdone. They’ve done a better job with their alternate logos over the last couple years (But am I missing something with always having that pattern in the star? Is it that necessary?). They’re much more indicative of the Blue Jacket historical roots and have a distinctive style of their own. I know that retro/vintage stylings is the new black these days, and this could change in the years to come, but at least the Blue Jackets’ name has a legitimate attachment to something historical. They might need some more revisions if they were to replace the current logo permanently, but it’s a step in an interesting direction. 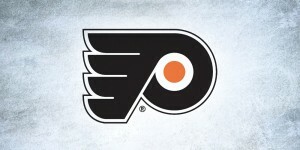 And their logo now is a helluva lot better than their previous logo, so they get bonus points for that. The Blue Jackets may be #30 in the league right now (can somebody get this team a new GM and a centre for Nash please! ), but in my heart, they’re #23. For fun, I decided to make the star on the main logo in one colour to see if it works better. With the shape it has, it looks more like a guy with a dunce cap than a star. When the star was white, they could’ve called themselves Columbus KKK. So if you would change that, you’d have to change the shape as well, or the entire logo. Yeah, that would be a problem. I’d say change the shape a bit, or the entire logo. I think either would be preferable to the current design. I noticed the pattern in the star is also a carryover from the previous logo as well, so I’m sure that came into play too. “Blue Jacket” was an Native American historical figure with Ohio connections but they didn’t want to go with an Indian-themed logo due to political correctness. So, they used the name “Blue Jackets” and then basically made up the Civil War-garb. It should have been the “Mad Cows” regardless. Yeah, I saw the reference to the Native figure when I was doing some research, but it seemed there were other “Blue Jackets”, specifically referencing Ohio and the Civil War, and that seemed to make the most sense, especially seeing as how Blue Jacket (the person) actually fought against Americans. While “blue jacket” doesn’t have the same strength as “grey coat” with regard to civil war connotations, I don’t think they *quite* made it up. …..Never noticed the “C.” I’m an idiot. Good analysis, too. I think that I like the hat alternate more than the cannon. Don’t worry about it, I never saw it either until really studying the logo. But thanks for substantiating my paragraph about the C being ambiguous! That type of star is known as a nautical star (as seen here: http://en.wikipedia.org/wiki/Nautical_star ), and apparently has strong ties to the US military, particularly the Navy and Marines. I’d presume this is why it keeps popping up. Perfect, thanks! That definitely explains it. Considering the tie between ‘Blue Jackets’ and civil war, as well as the ‘Blue Jackets’ being a term for American navy officers, it makes perfect sense. I do like the alternate jersey with the cannon. Maybe the logo itself isn’t the best, but I think as a whole the jersey looks pretty great. 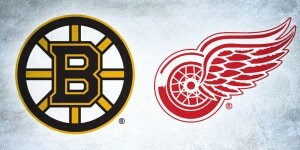 Can’t wait to see which is the first Original 6 to fall. 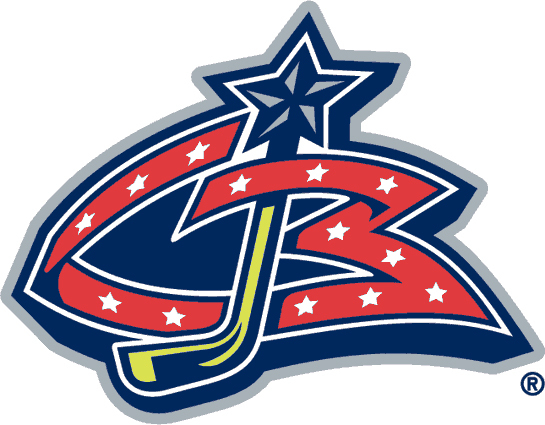 “The Blue Jackets name was selected because the name pays homage to Ohio’s contributions to American history and the great pride and patriotism exhibited by its citizens, especially during the Civil War as both the state of Ohio and the city of Columbus were significantly influential on the Union Army. Ohio contributed more of its population to the Union Army than any other state, while many of the Blue Coats worn by the Union soldiers were manufactured in Columbus. In my opinion, the alternate cannon logo is the best they have come up with. 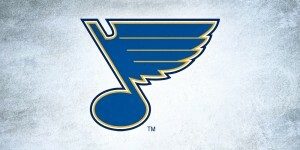 Though it could use some work to become their primary logo. While the alternate hat logo has a clear reference to the civil war, they aren’t the Columbus Blue Hats. So, best to get rid of it permanently, or leave it as a shoulder patch.